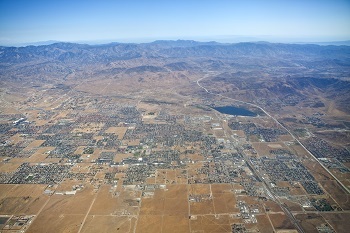 Monarch Air Group provides private air charter in Palmdale, CA. Our clients benefit from top-notch service, unrelenting dedication to safety, wide selection of aircraft, and years of experience in chartering private jets. To obtain a free quote, please use our online quoting tool provided below, or call toll free 1-877-281-3051. Monarch Air Group provides private jet charter flights in and out of Palmdale, California, USA. Palmdale is a city in southwestern California, north of Los Angeles, near Edwards Air Force Base. With a population of about 152,750 people, it is the 32nd most populous city in California. Palmdale is well known for being a family-oriented community with a high quality of life. The most popular tourist attractions include Antelope Valley Mall, Big Rock Creek Camp, Dry Town Water Park, Littlerock Dam and Recreation Area, Palmdale Amphitheater, Palmdale Playhouse and Art Gallery, Palmdale Oasis Park Recreation Center, and much more. The nearest airports are Bob Hope Airport (BUR / KBUR), which is situated 50 miles from the city, Los Angeles International Airport (LAX / KLAX), which is situated 69 miles from Palmdale, and LA/Ontario International Airport (ONT / KONT), which is situated 71 miles from Palmdale. 3. BUR, Bob Hope, Burbank, United States. 4. CCB, Cable Airport, Upland, CA, United States. 5. CCD, Century City, Los Angeles, United States. 6. CNO, Chino, Chino, United States. 7. CPM, Compton, Compton, United States. 8. CVR, Hughes, Culver City, United States. 9. EDW, Edwards AFB, Edwards AFB, United States. 10. EMT, El Monte, El Monte, United States. 12. HHR, Hawthorne, Hawthorne, United States. 13. JBP, Commerce Bus. Plaza, Los Angeles, United States. 14. JDY, Heliport, Downey, United States. 15. JGX, Heliport, Glendale, United States. 16. JID, City Of Industry H/P, Los Angeles, United States. 17. JLX, Union Station H/P, Los Angeles, United States. 18. JNP, Heliport, Newport Beach, United States. 19. JOR, The City Heliport, Orange, United States. 20. JPD, Heliport, Pasadena, United States. 1. Holiday Inn, 38630 5th Street West, Palmdale. 2. Holiday Inn, 38630 5th Street West, Palmdale. 3. Holiday Inn, 38630 5th Street West, Palmdale. 4. Holiday Inn, 38630 5th Street West, Palmdale. 5. Days Inn Hotel Palmdale, 130 East Palmdale Boulevard, Palmdale.